Sabrina Artel is the creator and host of Sabrina’s Trailer Talk, stories from America’s kitchen table. It’s a performance, public conversation and community event. Her weekly radio show explores community engagement through conversations about culture, politics, the arts and the environment. The weekly half-hour radio show is created from both the live events and on the street and studio conversations. She’s also a regular contributor to Alternet.org. 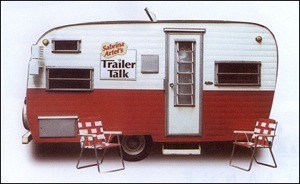 To find out more about Trailer Talk and to share stories and ideas with Sabrina, please visit: www.trailertalk.net. This entry was posted in National Programs, Programs, Sabrina’s Trailer Talk by Jake. Bookmark the permalink.